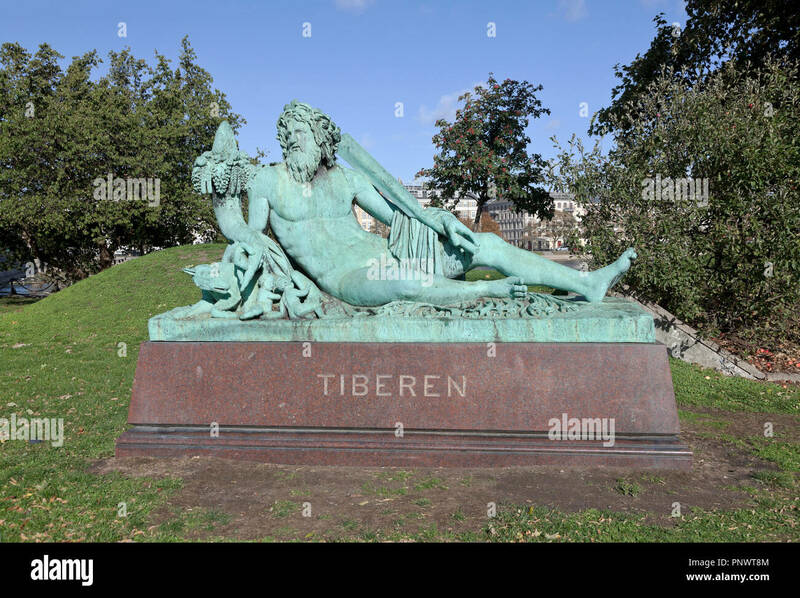 This copper sculpture of a relaxing god on granite, named after the river Tiber in Italy, was established in 1901. Several symbols, f.inst. the cornucopia, a horn of plenty, over the god's right arm and under his right hand symbols of Rome: Romulus and Remus being suckled by a she-wolf. The sculpture was cast after an original ancient Roman sculpture from ca. 100 A.D. exhibited in Louvre, Paris.The original was found in 1512 in Isis Temple Iseo Campense in Rome., Italy.